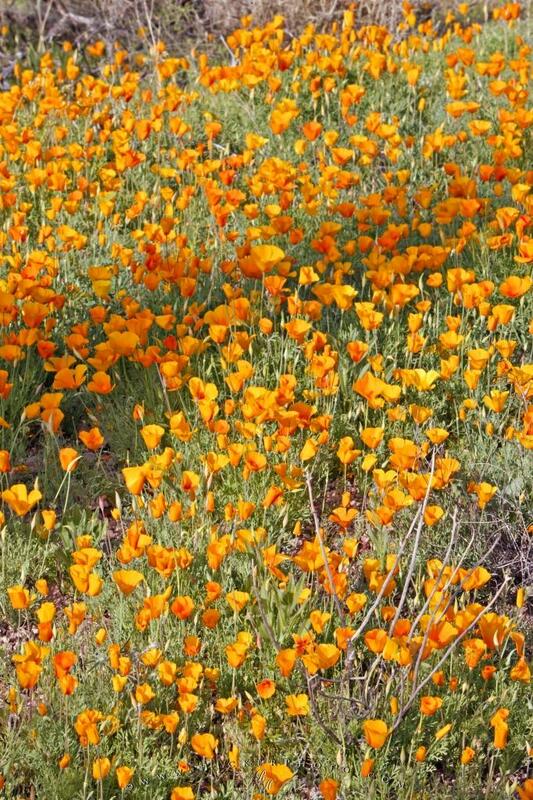 A patch of Mexican Gold Poppies adorn a slope in Organ Pipe National Monument in the State of Arizona, USA. A flower that grows in profusion after plenty of rain during the winter months in desert environments, a carpet of Mexican Gold Poppies covers the landscape in Organ Pipe National Monument in Arizona, USA after a wet season. Photo of Mexican Gold Poppies in Organ Pipe National Monument, Arizona, USA. Pictures from photo gallery "Arizona Pictures"
This picture is part of the photo album "Arizona Pictures" - there are more beautiful images waiting for you.